Our driver managed to figure out a way to stop in Limerick, see the River Shannon, and fit in time to kiss the Blarney Stone! It meant the world to us. He was a true professional. We will be sure to call on Mercury Drive for our next Ireland visit! Collection from airport/hotel/cruise ship/train station for a 4 hour half-day private tour or 8 hour full-day private tour in either an executive sedan/saloon or executive minivan/MPV. Your chauffeur will bring you to see the highlights of the city depending on your personal interests. Popular stop off locations include; The Book of Kells at Trinity College, The houses of Georgian Dublin, the medieval streets around Christchurch & St. Patrick's Cathedrals, Kilmainham Gaol and The Guinness Storehouse. A full-day tour allows you to take in extended number of locations or to go further afield to the picturesque coastal towns of Howth, Malahide or Killiney. A full-day tour allows more time to explore the counties surrounding Dublin. 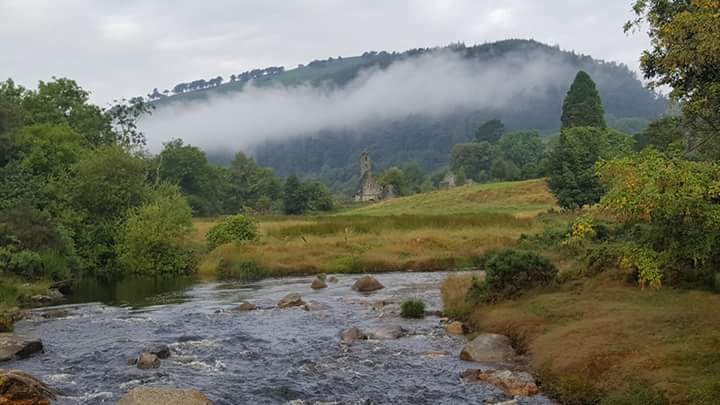 One of the most popular full-day tours is to Co. Wicklow, known as the Garden of Ireland. Take in the ancient round tower at the monastic site of Glendalough and a visit to the beautiful gardens at Powerscourt House and Estate. Alternative day trips to the medieval city of Kilkenny or the equine heartland of Co. Kildare are other popular options. All our tours are private with an experienced chauffeur who can impart local knowledge during your tour. If you require an accompanying tour guide this can also be arranged. We recommend pre-booking of popular heritage in advance. Extended multi-day tours outside of these regions are also available. Please contact us for a quote for your tour.